On October 23d, the Young Artists Philharmonic will open its doors for the Fall Open House event, one of two such events that take place during the season. With three different ensembles of varying age, there is a place for musicians of every level from beginner to advanced. The event also provides an opportunity for parents to get a sense of the YAP experience, and to observe our conductors in action. There will be two sessions, the first from 5:00 – 6:45 during which the beginner and intermediate orchestras rehearse. The second session takes place from 7:00 – 9:30 for the senior level orchestra. Please indicate in the signup form which group appears to be the most suitable, and our staff will help make the appropriate assignment. YAP’s artistic staff will be on hand to answer questions, tour our facility, and socialize over refreshments. In order to register, complete the form below and a representative will be in touch shortly to confirm your attendance. For musicians studying 1-4 years, the Young String ensemble may be a good fit. For 4-6, the Young People's Symphony. 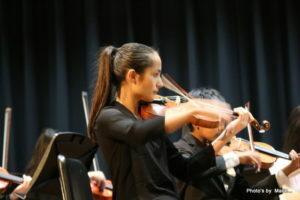 6-7+ the Young Artists Philharmonic. These are not strict rules, we will find the appropriate ensemble on the day-of if you are unsure.